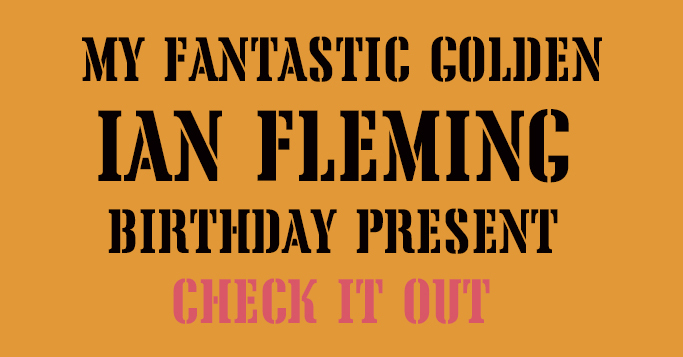 James Bond - The Secret Agent: My fantastic Ian Fleming birthday present! 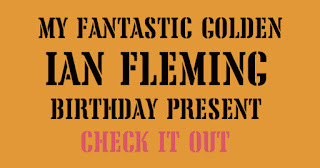 A few days back it was my birthday and I decided treat myself with a truly nice James Bond / Ian Fleming collectable that I never believed would be mine. But then I found one one Ebay and when I had received that one a new one appeared on Ebay. So I got some help from my English friend Alan to have it sent to me as well (a small tip for all Ebay sellers. to make sure you sell to the highest bidder, offer international shipping). So I decided to shoot a small video while I open it. 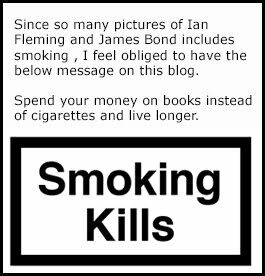 But I do need to say that I am sorry for the poor picture quality. I need to learn more about my camera and I need to know more on how to take photos and shoot film when its dark outside to prevent all the grain. I am also sorry that you get to see my belly from time to time. I am eating a medicine that has a side effect. It makes by body keep most of its fat and I have gained a lot in wight this year. I am really giving you a great opportunity to play the game "try not to laugh" here. So do focus on the actual package that is being opened. Below is the video or if you wish to head over to YouTube you can do so here!